Howe Gelb announced as support. 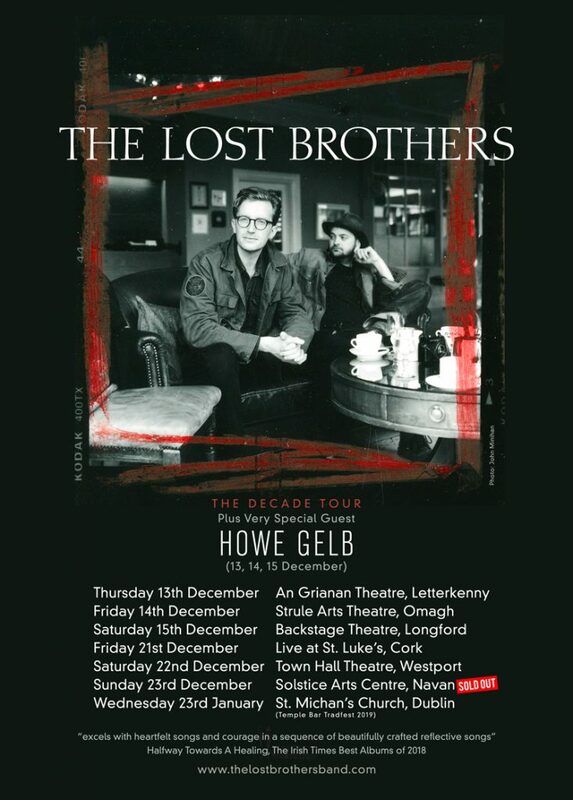 Howe Gelb announced as support on selected dates of upcoming Lost Brothers December Theatre Tour. Giant Sand main man and indie legend Howe Gelb has been announced as very special guest on the upcoming Lost Brothers Irish Theatre Tour this December. Based in Tuscon Arizona since 1972 Howe has collaborated with artists such as M Ward, PJ Harvey, John Parish and many more. His band Giant Sand spawned and inspired bands such as Calexico who are part of Howe’s extended musical family. Lost Brothers celebrate ten years on the road this Winter and Howe Gelb recently produced their 2018 acclaimed album “Halfway Towards A Healing” so it’s a fitting way to mark a decade of touring. Howe will perform an opening set and then be joining The Lost Brothers onstage each night as part of an all-star band.